This week we decluttered in the Main Bathroom and the area of our choosing. Some of you have already sent me pictures of your progress. You are seeing the power of 10 to 15 minutes of decluttering on a consistent basis. Send me a picture of the area you decluttered to this email address. On Friday, I wrap up my week with my decluttering missions and home blessings. I write down next week’s menu plan and make a grocery list. I ask for the input of my family on menu planning, and I ask for help with cooking. Some of you have been incorporating your children in menu planning and cooking because I have encouraged you to do that. Raising a family, cleaning your home, cooking, doing laundry, and homeschooling all take time. Working together around the house helps everyone. It helps you with the load you are carrying, and it helps prepare your children for adulthood. Today, my son did his school work, mowed the grass, and washed his laundry. He helped set the table for dinner and emptied the dishwasher. My youngest son did his school work, helped me in the kitchen, and folded a load of laundry. Both of them are playing outside now while I write, and they have had a good day. I talk to parents who are concerned about electronics and game systems. We have these in our home, too, but we make it a point to have limits on gaming. We encourage outdoor play daily, unless the weather is just terrible. We are blessed to have our woods and a nice place for them to play outside, and I strive for them to have a balance in their activities. My menu plan for Friday is a fish fry. Your afternoon routine is one that gets glossed over many days. You move along from thing to thing in the afternoon and start dinner preparation. Things can move along quickly, and it is easy to skip some important parts of the afternoon routine. The afternoon routine starts with lunch. Are you sitting down each day to eat your lunch? I can remember the days when my children were little, and it was hard to get everyone served and sit down myself. I worked on it though. I tried to not stand at the counter and snack. I did not eat the leftovers from the children’s lunch for my lunch. I made myself something, too. Lunch ideas are leftovers, sandwiches, soup, raw veggies, quesadillas, pizza, corn dogs, salad, tacos, fruit, cheese, yogurt, and on and on. There are lots of easy lunch ideas. Try not to rely on protein bars and protein shakes when you can make a salad and have some protein a different way. Right after lunch, we clear the table and rinse the dishes. Usually, the dishwasher is full, and I turn it on for a wash cycle. Then, I check the menu plan and see what I need to do to start dinner prep. My next step is to check on the laundry. I may need to switch a load, fold a load, or put a load away. I try to get a load done during the morning, afternoon, and evening routines. This seems to give me the best flow for my laundry system. Evening loads of laundry are usually a load that one of the boys is doing or towels. After I take care of the laundry, I clear a Hot Spot and do my daily Zone Mission. This is a 15 minute task at most. It is not a long process. I know that a lot of you procrastinate decluttering because you want a big block of time to declutter. You only need a few minutes, and it will work with consistently. If you have not exercised for the day, you can spend 15 minutes doing some purposeful movement. If the weather is nice, take the kids outside and play. Go for a walk. Do some exercises indoors. There are lots of ways to do some exercising daily. Make it fun! As you are going through your routines, remember to take a break and sit down for a few minutes. Drink your water. The only other thing I would add to a homeschool mom’s afternoon schedule is a few minutes to check over school work and lesson plans. The afternoon routine is a bridge in your day. Use it to make the other parts of your day go smoother. As you get rid of clutter, you will find it is much easier to care for your home. Your Zone Mission today is declutter items from the tops of your counters and wipe down. Your Home Blessing for today is to toss paper and magazines. My menu plan for Thursday is chicken and salad. We’ve been talking about clutter this week, and today I want to talk about the importance of your Home Blessings. If you have a lot of clutter, it causes you issues in doing your Home Blessings quickly. I can’t stress enough that you need to declutter daily. The things that you have in your home need a home. The FlyLady teaches us to do our Home Blessings quickly each week. She recommends you do them on Monday during the Weekly Home Blessing Hour, but I know that is hard when you homeschool. I divided mine up throughout the week. The combination of picking up behind ourselves, delcuttering, and one or two Home Blessings a day makes taking care of my home quick and easy. During the course of the day, the boys and I do things as a team. Right now, I am writing to encourage you. My son is working on dinner preparations. Earlier today, he cleaned out my van and vacuumed it. This morning I detail cleaned my bathroom and swept the kitchen. I did a quick dusting. We don’t have carpet on the main level of the house, so that is a Home Blessing that I don’t do. The boys vacuum their bedrooms upstairs each week. During school this morning, I emptied the dishwasher while the boys got started on their lessons. Then I started a load of laundry. After those tasks, I sat to down check school work and talk to the boys about any questions they had. As they finish each subject, they put their school work away and get out the next thing. My days do not always flow easily. Sometimes there are kinks in the schedule. It has taken years of doing our routines to have them down pat. I have taught them, encouraged them, and rewarded them for doing their routines and helping around the house. When my children start working outside of the home, they have to develop new routines. They have established great Before Bed Routines, and I find it encouraging to watch them get their things ready for the next day. They find time in their week to wash their bedding and clothes. They pick up their rooms about once a week. How are you doing with your Weekly Home Blessings (sweeping, mopping, dusting, vacuuming, changing sheets, taking out trash, and decluttering magazines)? Your Zone Mission today is to wash bathroom rugs and accessories and declutter in one other area. In the past, I have asked questions on Facebook. I asked, “Where do you have the most clutter?” The responses were great! I would love to hear from you, too. Where is your clutter? As you can see, I got a lot of responses. Truly, the best way to combat clutter anywhere in your home is to consistently get rid of things every day. I mean throw it out or give it away. If you are moving it from place to place in your home, you are just reallocating clutter. You are not decluttering. Decluttering is hard for some of you. Many of us were raised by a generation that taught us to hold onto things. You do not have to hang onto everything! You can bless others with your abundance. Most of you have too many clothes, too many books, and too many toys for your children. This excess causes you stress. It takes up valuable space in your home. It takes up your valuable time as you move it from place to place. It causes you to procrastinate cleaning your home because you don’t want to move stuff around to clean. It might seem like I am taking a hard line on your clutter, but sometimes that is what you need to hear. I mentor ladies who want to have peace in their homes and get rid of the clutter. The first several weeks are really hard as they develop the habit of getting the clutter out of their homes. They have to set up routines to throw out the trash and take donations weekly when they do errands. You do not have to be perfect in decluttering. You do not have to get rid of everything, but you can thin down the amount of stuff in your home. You have things in your home that you have not used in years. Start today. Tell me where you are going to declutter for 10 minutes today, and tell me if you are throwing it away or giving it away. Your Zone Mission today is to shine your tub and shower. Declutter in one other area. My menu plan for Tuesday is corn dogs and tater tots. Congratulations to those of you who completed some or all of the kitchen missions last week. I enjoyed seeing pictures of your kitchens. You did a great job with the zone missions. Remember that you only need 10 minutes or less to do most of these missions. You CAN do it! Set your timers and then take a break when it goes off! Have you been practicing the Habit of the Month and making your bed daily? We are now in the middle of April. Keep an eye on your school calendar. Figure out how many days you have left in your school year. Check the children’s progress in their books. My children are working on their standardized testing soon, so the rest of their schoolwork will be light until the testing is completed. Then, we will move into wrapping up our school year. We all need a break in the summer. Enjoy your week! Keep your routines simple. Your Home Blessing for today is to wash the sheets. Your Zone Mission for Monday is to have a 27 Fling Boogie in the Main Bathroom and in one other area in your home. My menu plan for Monday is pork chops and salad. Who has paper clutter on their kitchen counter? We are moving along in the zone missions in the kitchen this week. Today’s mission is to declutter items from the tops of your kitchen counters and wipe them down. As you are doing this, please consider carefully what you put back on your counters. Do you use the small appliances you have out on the counters? We use the small appliances that I keep out on the counters daily, except for the Kitchenaid mixer. It’s too heavy to move. If your counter or island is a dumping ground for paper, spend 5 to 10 minutes shredding paper and tossing it. You likely do not need all of the paper you have stacked on your counters. This is a hot spot that you should deal with daily for 2 to 5 minutes. Thursday is errand day on the FlyLady weekly plan. Have you done your errands this week? I do mine on Friday or Saturday, but I do spend time on Thursday working on my list for errand day. So if you are not doing errands today, you can work on your list for a few minutes. We are coming up on Easter in a few weeks. It’s time to check your children’s clothing and see if you need to pick anything up. My boys have been growing, and they are needing bigger sizes. It’s funny how a pair of shoes fits one week and are too small the next week. Enjoy your day! I am loving our spring weather! We are going to toss some things today. Good morning to you! Thank you to all of you who have requested my digital Homeschool Planner the past two days. I think I am caught up on replies and emailing them to you. If you have not requested one, feel free to email me and request one. I want to bless you with it, and I would love feedback. Today’s zone mission takes us to the fridge. I want you to spend 15 minutes tossing leftovers from your fridge and wiping your shelves. This is not supposed to be a big clean out project. Start with the top shelf and work your way down. If you don’t get to the bottom shelf, you can always do this mission again later in the week to do them. It’s also anti-procrastination day. Many of you have responded to me in the past and told me what you have been procrastinating. I want you to spend 15 minutes on it today. It does not matter what it is. If you need to do it, get started now. Procrastinating something that build up in your mind, and you think you have a mountain to climb. Most of the time, it’s more of a little hill to go up to do your task. The only way to get to the top of the hill or to accomplish your project is to take one step at a time until it is done. Check your homeschool paperwork today. Do you have your grading up to date? I needed my son’s GPA today for something we were working on, and because I am using a program to help me keep track of grading this year, it was so easy to get this information. What questions do you have about homeschooling or home organizing? Your Zone Mission today is to declutter leftovers from the fridge. What do I use to clean my kitchen cabinets? Good morning! Thank you for your email responses to me yesterday. 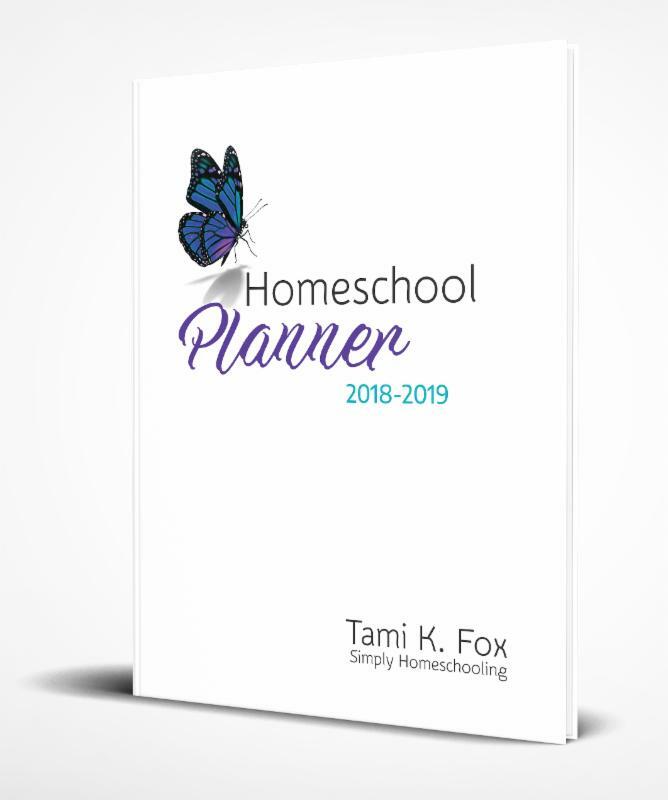 If you want a digital copy of my Homeschool Planner for 2018-19, email me by replying to this email. I will send it to you. Today’s zone mission is to wipe the outside of your kitchen cabinet doors. Depending on the finish on your cabinets, you will want to wipe with care to remove dust and splatters and not damage your finish. Many kitchen cabinets are painted. You can use a cleaning cloth (the FlyLady’s purple cloth is my favorite) with warm water. If you have grease splatters use a touch of watered down lemon juice to cut the grease. You don’t want to use concentrated lemon juice straight from the bottle or lemon in order to not damage your paint. If you have cabinets with a natural finish, you can use an oil soap to wash them and moisturize the wood. This is how I have maintained my cabinets for 29 years. They are made of birch and have held up to the use of my large family. Tuesday is also Plan and Play Day. Spend a few minutes on your planning today. You know what you need to do with your paperwork. Some of you need to menu plan. Others need to budget and pay bills. Don’t skip the second part —- Play! Do something you enjoy or sit down and just play with your kids for a little bit today. They will love it! Your Zone Mission today is to wipe the fronts of your cabinet doors. My menu plan for Tuesday is pork BBQ and vegetables. How was your weekend? My family had a great weekend of fun and play, and today it’s time to get back to our decluttering and zone missions. I look forward to Monday mornings now because my house does not fall apart on the weekends, and I am ready to start decluttering in a new zone each Monday. Several years ago, I did not feel this way about Monday morning. There may be some of you reading this who do not enjoy Monday morning very much for a variety of reasons. If you are in the season with small children in the home, they tend to pull stuff out on Sunday afternoon, and it is still sitting out on Monday morning. If you find yourself with clutter this morning and are feeling down, I want you to turn on some music and set your timer for 15 minutes. Then zip through your house putting things way. Involve your children in picking up their things and play along with you. Monday – dust along the tops of your kitchen walls, fixtures, and cabinets if they do not go all the way up to your ceiling. Tuesday – wipe the outside of your cabinet doors. Wednesday – toss leftovers from the fridge. Thursday – declutter stuff from the tops of your kitchen counters. Friday – sweep and mop the kitchen. Set your timers for 15 minutes and then take a break when it goes off! This week we are decluttering in the kitchen, and while you are doing your missions, I want you to carefully look at the items you have in the kitchen. Do you use all of your small appliances? If not, what can you donate? We all have a tendency to collect kitchen items, and then we end up with more than we can use. It’s time to bless someone else with your excess in the kitchen. Over a year ago, we did a kitchen makeover. I have a couple of boxes that have sat in the closet since then. I am going to go through them this week and get rid of most of it. It’s small kitchen stuff that I have not missed in a year. Thank you to those who responded to my email regarding my Planner. If you have not seen it and would like to receive a PDF via email, just reply to this email, and I will send it to you. I would love more input on it. If you want a print one, I have some of the 2018-19 printed planners left. Email me if you would like one for the cost of shipping. I would love to clear out the last of my inventory. Your Zone Mission for Monday is to dust along the tops of the kitchen walls, across the tops of your cabinets, and your fixtures. My menu plan for Monday is pasta and salad.